There’s a terrible transgression out there, one so persistent and widespread that we—by which I mean people of Indian descent, and all people who believe it’s basic courtesy to spell someone’s name right—have all but given up fighting it. 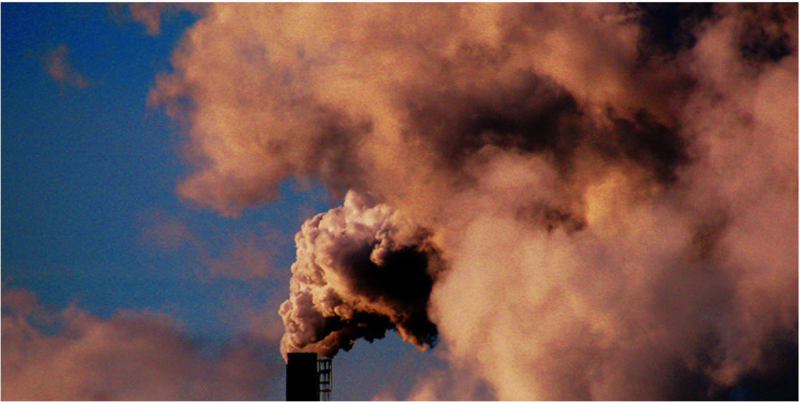 It’s too annoying to dignify with our energy, but it’s even more infuriating to watch it endure. 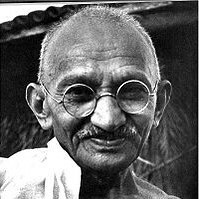 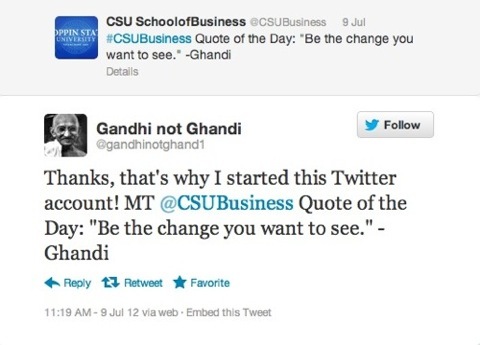 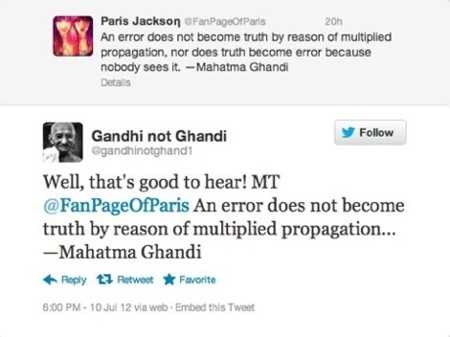 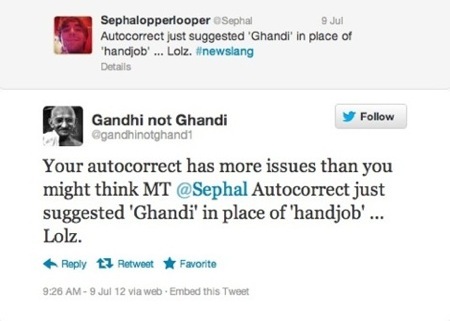 I refer to what’s been called the “Ghandifoul”—the common misspelling of the last name of Mohandas Karamchand Gandhi. Yeah dude. 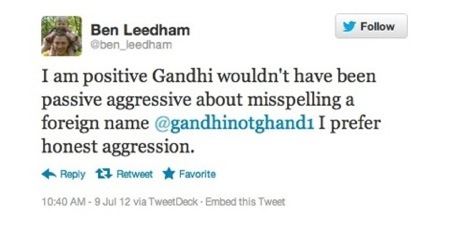 Not content with misspelling the man’s name, you’re going to speak for him, too. 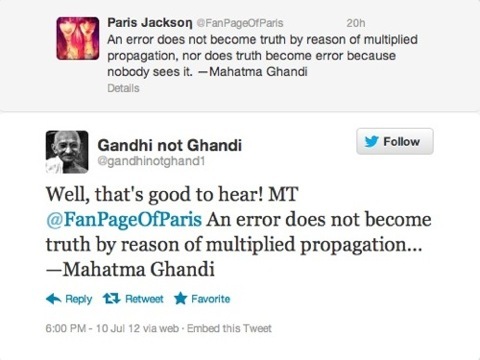 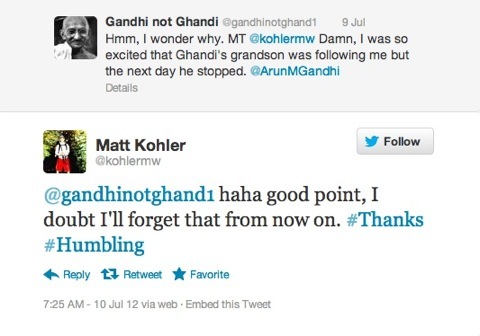 Bless (and follow) @gandhinotghandh1, braving the fools and setting them straight.